Whether they’re a veteran fish-catching expert or one of the 8.6 million new anglers that wet a line for the first time in the last two years alone*, this holiday season luring in holiday cheer for the outdoor adventurers on your gift-giving list will be easy as shooting fish in a barrel with the latest best-in-class gear from Rapala, the most trusted name in fishing since 1936. This holiday season, delight any ice fishing diehard with the high-tech, fish-finding advantage of a new MarCum® iSeries Flasher Sonar unit. Among the most advanced systems ever built, MarCum has updated its top-of-the line LX-5i Dual Beam True Color Sonar Flasher System, LX-3TCi True Color Sonar Flasher System and VX-1i 3-Color Sonar Flasher System with larger displays that prevent snow buildup and increase viewing angles, allowing enhanced sight lines from all sides on its traditional flashers. Serious anglers have long praised the unrivaled quality of a MarCum flasher’s resolution, a feature that allows ice heads to get the best possible view of the action below the ice. Now, with updates to its most popular units, MarCum makes it easier than ever for cold-weather anglers to clearly see the fish about to bite their lure, a key factor that can make the difference between landing and losing the next big catch. 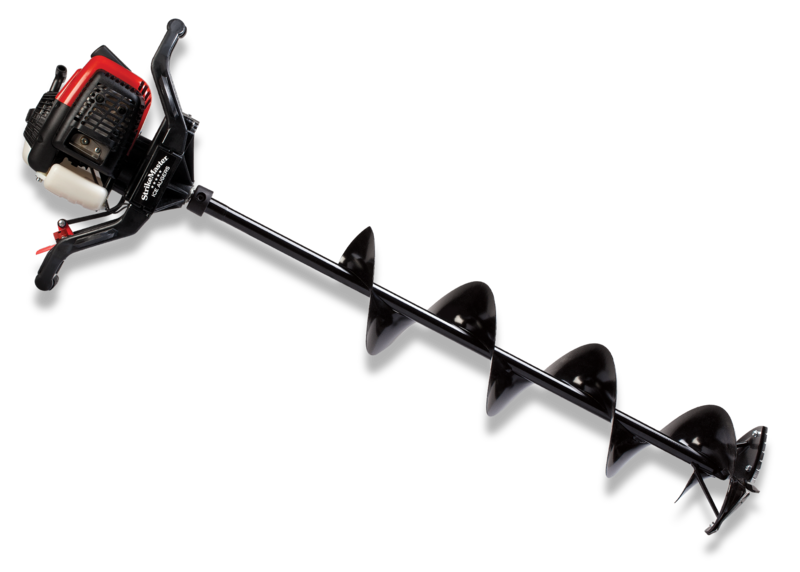 Leveraging 65+ years of experience reaching fish through the ice, each legendary StrikeMaster® auger is meticulously designed to combine power, speed and lightness to win the race to the bottom of the hole each and every time. The brand’s latest ice-crushing innovations — the Lazer Mag™, Honda™ 35cc Lite and Chipper Magnum — are the perfect “big ticket” gifts to make this holiday season one the lucky recipient won’t soon forget. Considered the Cadillac of power augurs for its timeless quality, the Lazer Mag™ is as tough as an auger gets. Built for battle with the thickest of ice, its highly portable body and powerful 42cc engine make it an excellent option for hole hopping quickly and efficiently. Available in four sizes, the Lazer Mag cuts through ice quicker than a hot knife through butter. Light as a feather and strong as an ox, the Honda™ 35cc Lite features a dependable, efficient Honda 4-stroke engine that virtually eliminates worries of set-backs on the ice. 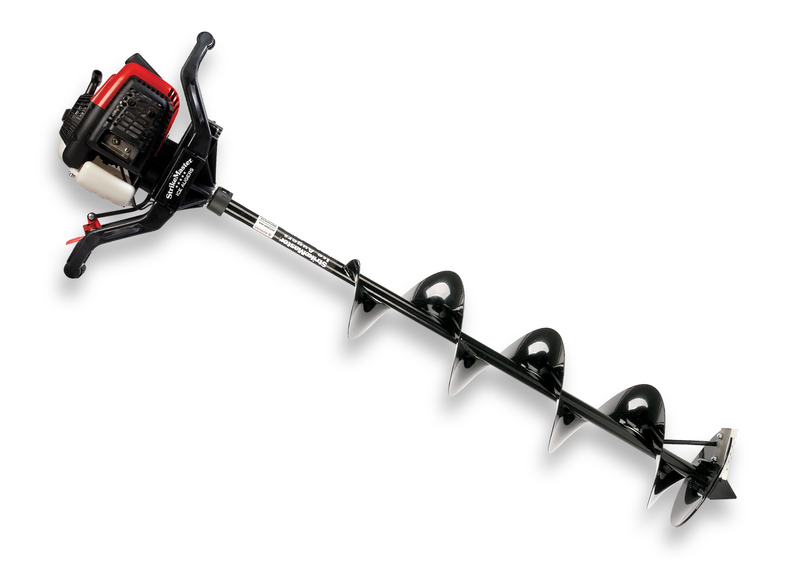 Featuring ultra-sharp Lazer Blades, this auger masterfully brews noiseless horsepower and steadfast reliability for pure, unbridled drilling speed and is available in 8-inch and 10-inch models. A testament to modern ingenuity, the Chipper Magnum’s American-Made transmission components and Boron Steel blade offer the power and durability to punch holes season after season and is as dependable as the rising sun. 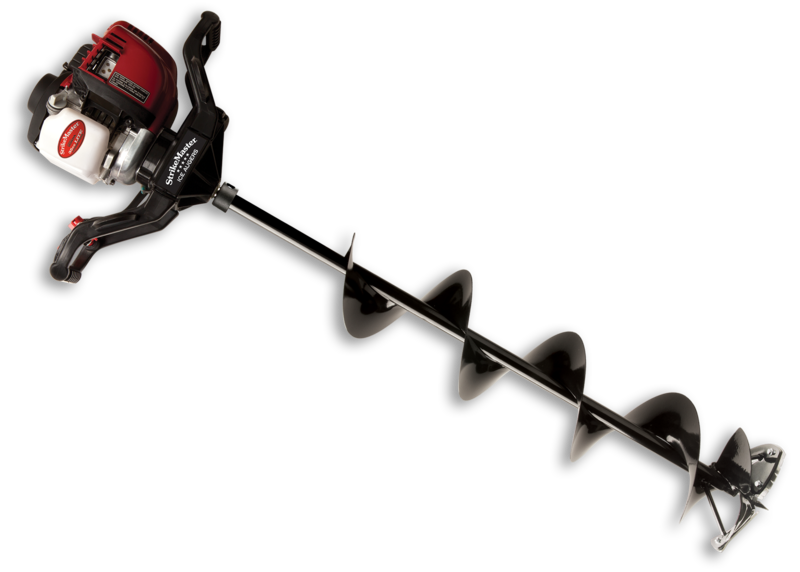 A steadfast winter workhorse available in 8 1/4-inch and 10 1/4-inch models, the StrikeMaster® Chipper Magnum will quickly become the No. 1 ally to any dedicated hardwater angler lucky enough to take it for a spin on the ice. 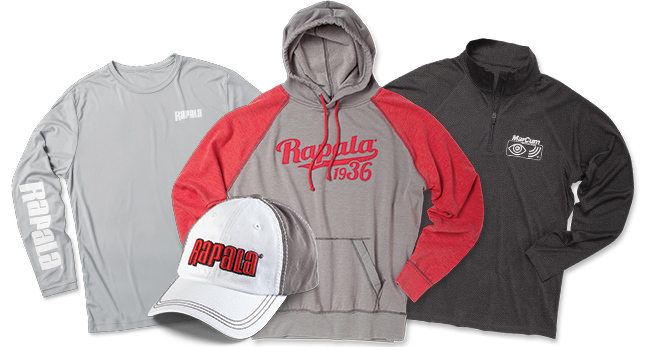 When it comes to threads that offer both comfort and functionality, there’s no better fit for the boat, ice house or even a night out on the town than Rapala® and ICE FORCE® apparel. Help your friends look good when they tango with a toothy pike, wily walleye or behemoth bass no matter the season by gifting a new jacket, hoody, hat, shirt or a bevy of other accessories this holiday season. 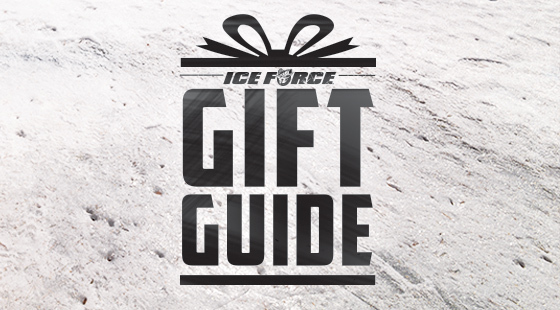 Available with overnight shipping at Rapala.com (if ordered before 1 p.m. CST), Rapala and ICE FORCE apparel is the answer to your last-minute shopping needs. 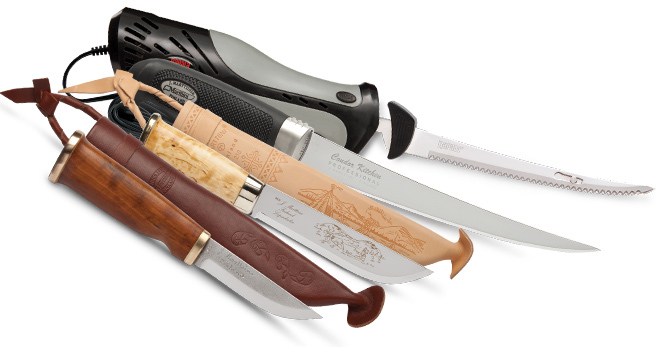 A high-quality blade is an essential accessory for any outdoors enthusiast. From prepping a delicious fish fry after a successful day rippin’ lips, to expertly dressing the bounty of an exhilarating hunt, Rapala offers premium knifes ideal for your loved one’s next outings on the water and in the wilderness. With more than 40 million sold to date, the legendary Rapala Fish ‘N Fillet is responsible for more shore lunches than any other fillet on the market. A product of pure craftsmanship, these knives are designed with Rapala’s iconic birch handle and feature a progressively tapered, flexible, full-tang European stainless steel blade that holds the razor sharp edge experienced anglers demand. With four blade sizes to choose from, there’s a can’t-miss option for every fish-cleaning chore. The sharpest choice for fishing is now the sharpest choice for hunting. 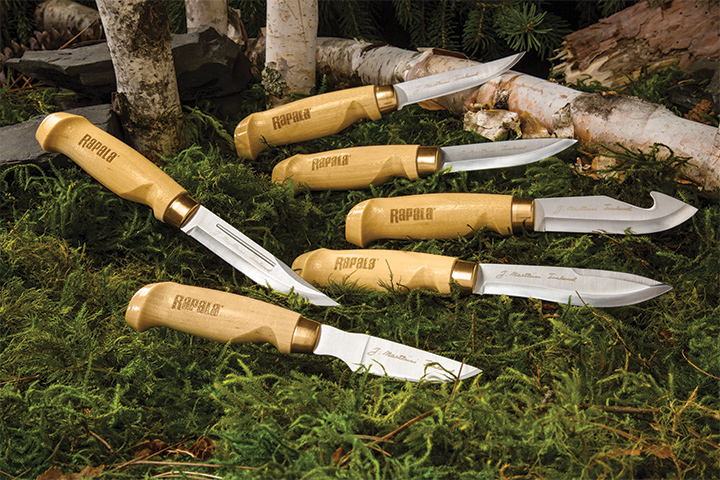 Rapala® has extended its outdoors expertise from the fish camp to the field with the launch of a new line of knives designed specifically for hunters: The Rapala Classic Birch Collection. With six expertly crafted models — each designed to meet a specific need — the hunters in your life will be thrilled to receive a new set of razor-sharp stainless steel knives that promise to take the headache out of skinning or field dressing wild game. The Rapala Classic Birch Collection is available at select outdoor retailers throughout the Midwest and includes the following varieties: the Classic Birch Collection Skinner Knife; Clip Point Knife; Drop Point Knife; Gut Hook Knife; Caping Knife and Bird Knife. 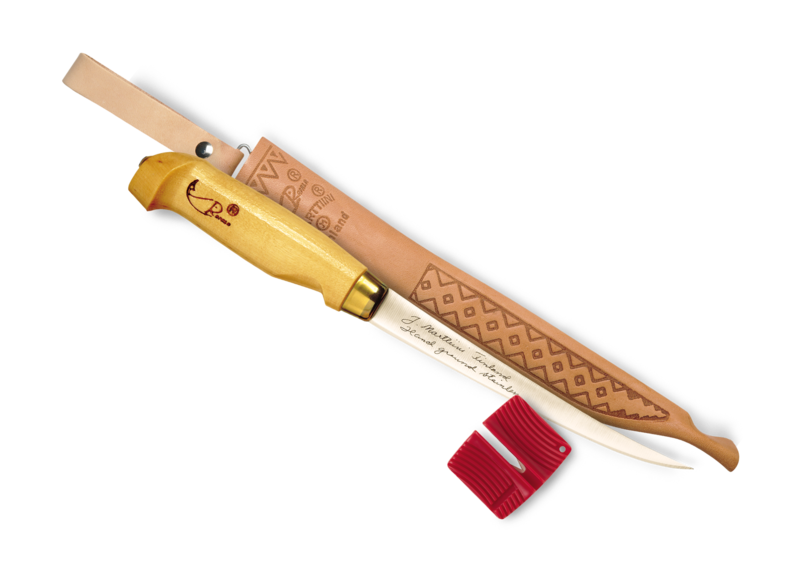 Learn more about the new Rapala Classic Birch Collection and find the nearest location to purchase these premium knives at rapalaclassicbirch.com.